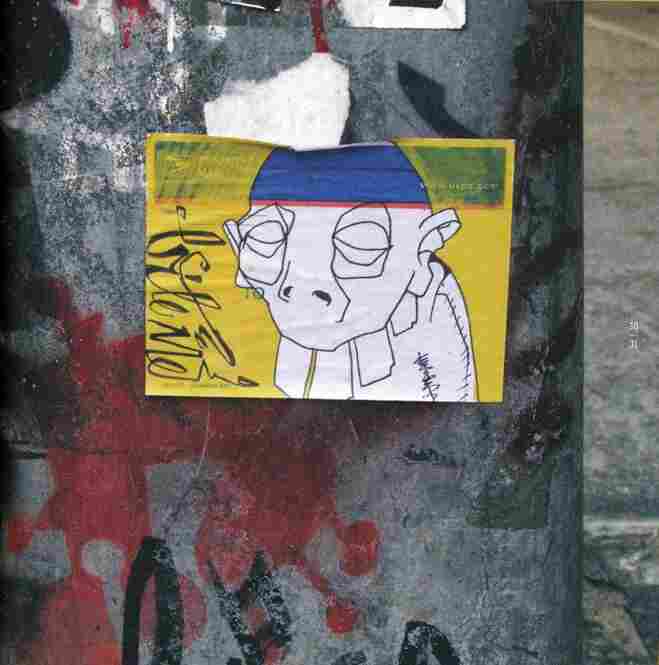 Going Postal: Mail Stickers As Street Art : The Picture Show A photo book shows how street artists are steal postage stickers by the dozens to use in graffiti and street art. 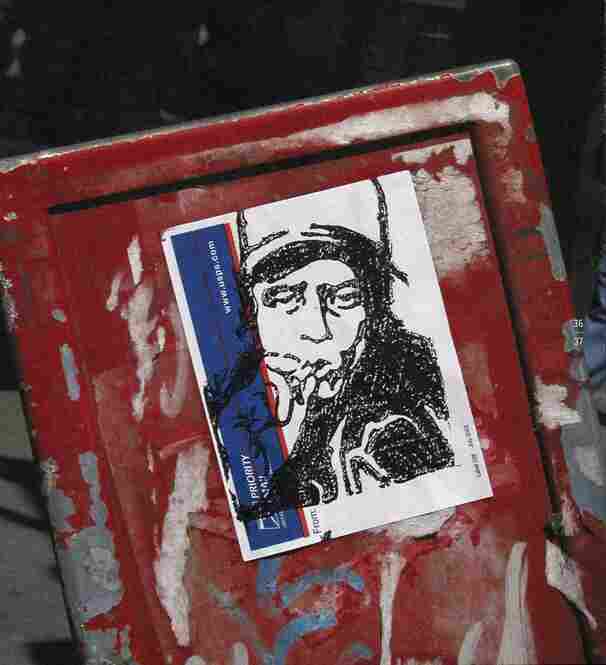 "I don't think the Postal Service has caught on to this," photographer Martha Cooper says over the phone. 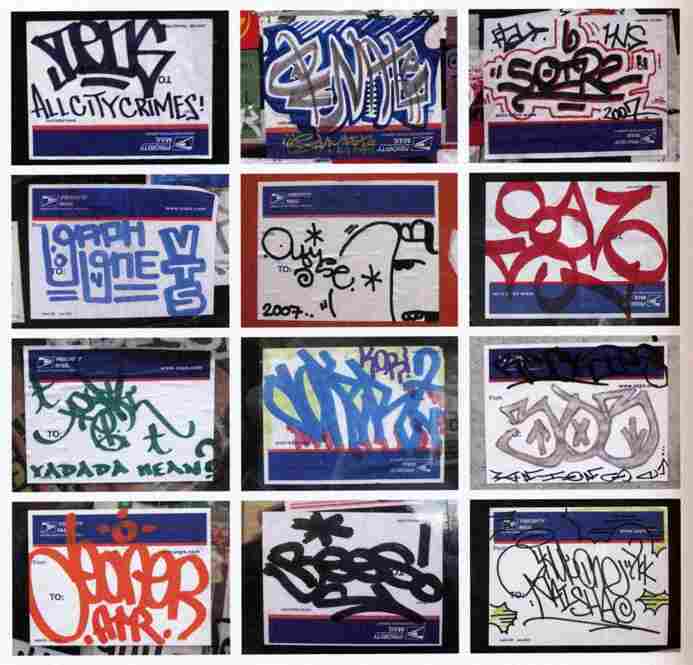 That is: Officials haven't caught on to the fact that street artists are stealing postage stickers by the dozens for graffiti and street art. 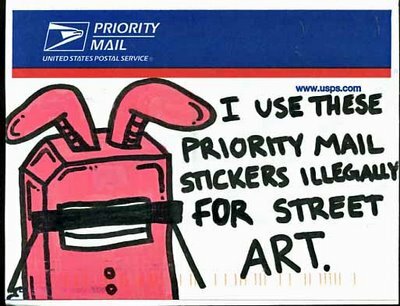 In fact, it's not really even stealing because you can go to the USPS site right now and order up to 500 stickers for free. 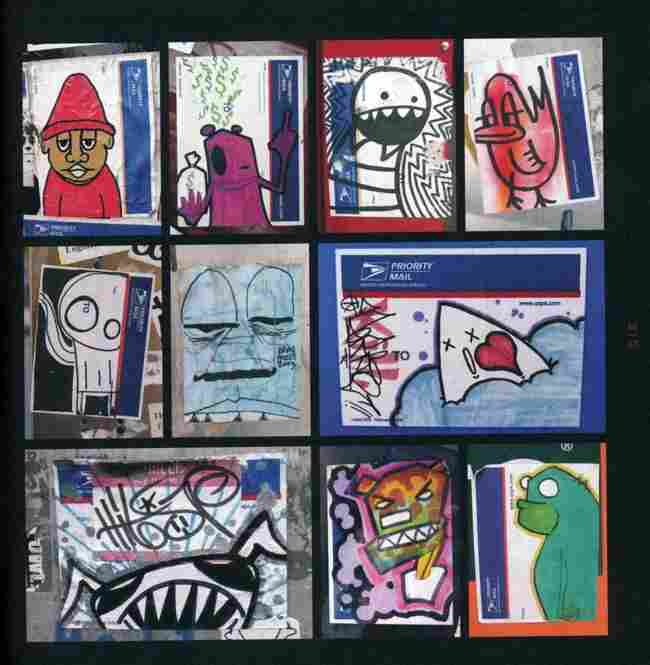 Cooper's book, Going Postal, shows the many ways in which street artists have re-purposed those government materials, i.e., mailing stickers, for vandalism. In a sense, she says, "the government is supporting their art." 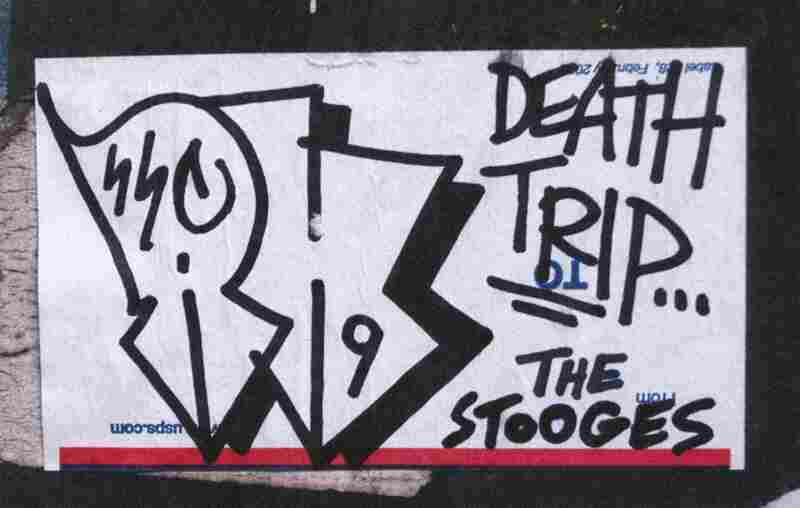 Cooper, a longtime street photographer, has been photographing graffiti since the early '80s. 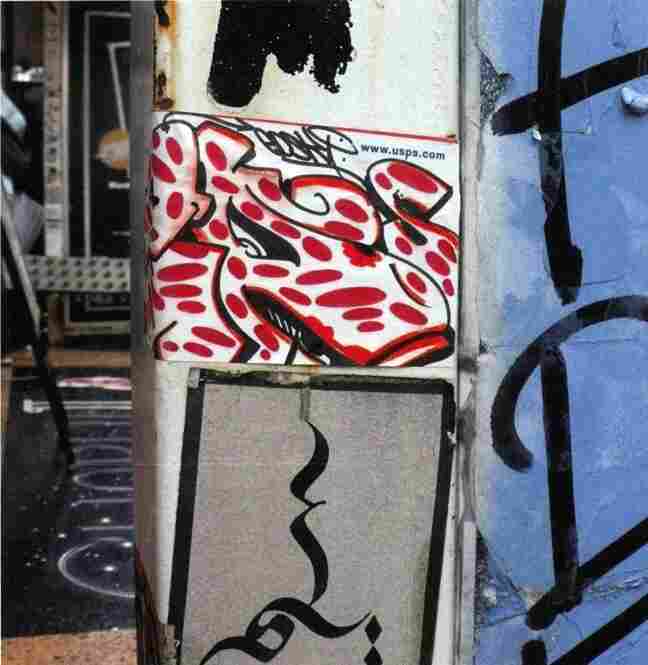 "I honestly think that graffiti has changed the art world," she says. 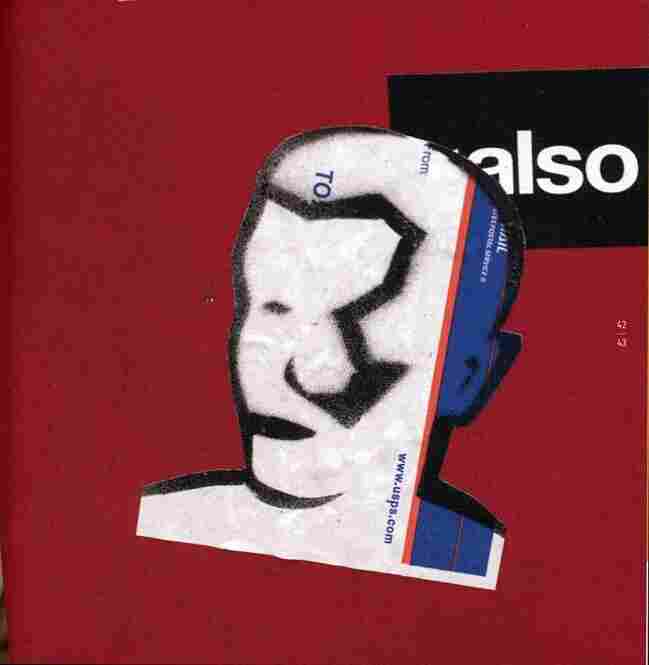 Take Shepard Fairey, for example. Some of his work, once considered vandalism, is now held by the National Portrait Gallery. 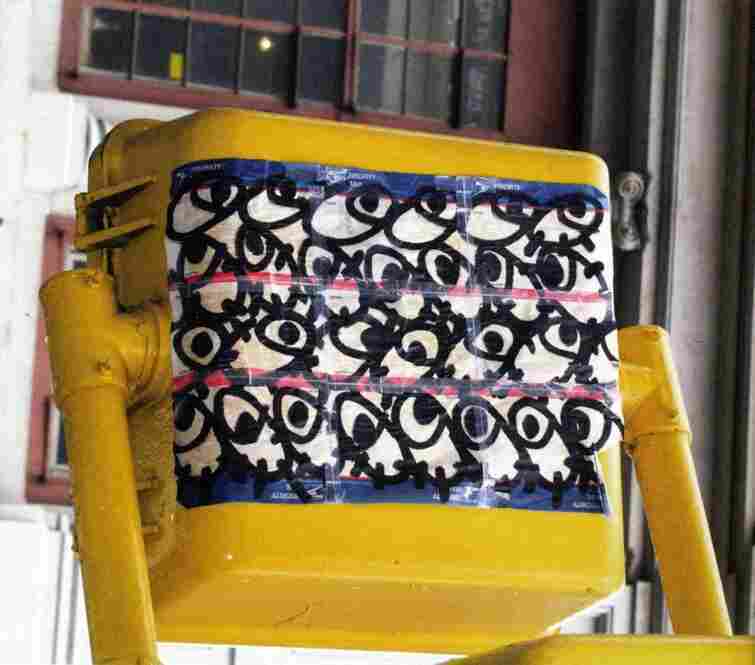 And a new exhibition entirely about street art is in the works in Los Angeles, she says. 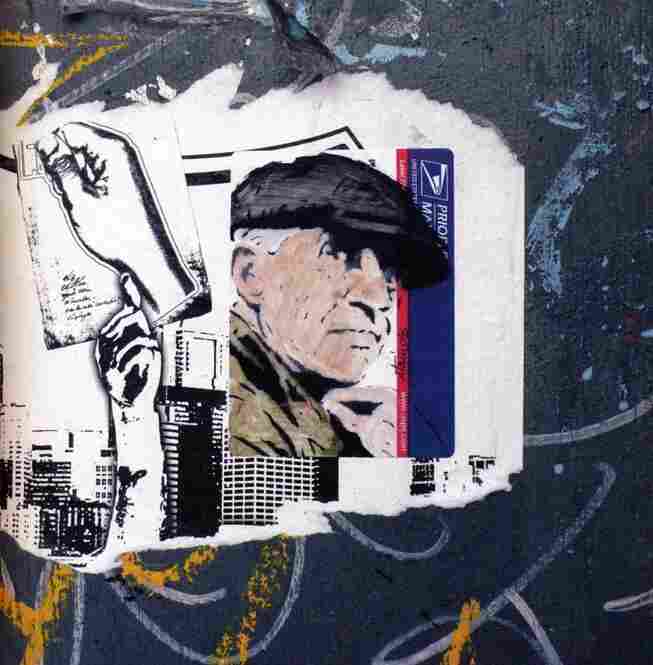 "For me," Cooper writes in the book's introduction, "looking for stickers is an on-going treasure hunt, increasing my pleasure as I walk around cities." She not only photographs the stickers, but also collects them. "I took two today," she says. 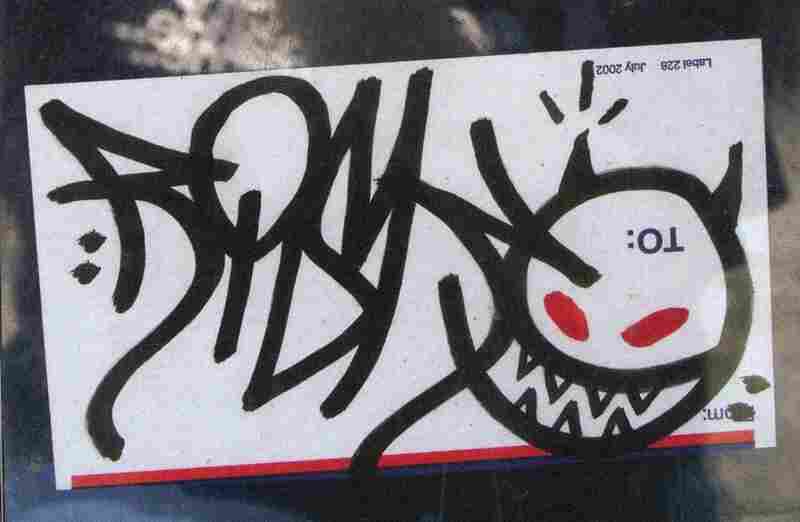 Although the USPS may not appreciate the reference that the book title is making, sticker tagging is still, in some ways, free guerilla advertising for the struggling snail mail enterprise.